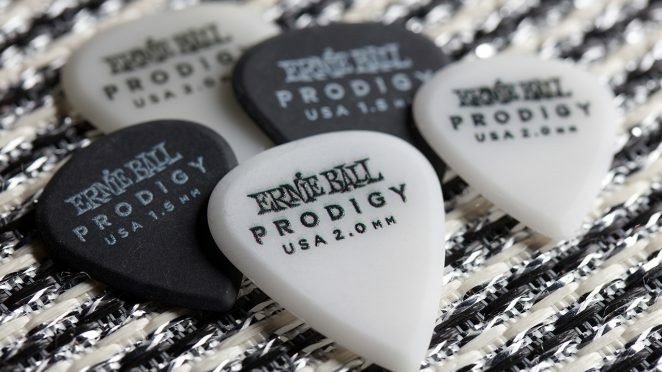 ERNIE BALL PRODIGY PICKS HAVE LANDED! Ernie Ball is excited to announce the launch of the 2018 Prodigy picks – the latest high performance guitar picks manufactured with superior design in mind. Guitar picks are not only popular among artists but also provide guitar for beginners with an easier technique. Guitar picks are an essential accessory for your electric guitar, bass, or acoustic guitar. Experience the quality and feel of Ernie Ball’s new Prodigy picks no matter what type of string instrument you play.